Summary: We have moved to the steep downward part of the “S”-shaped slippery slope. Sharks bump their prey repeatedly, testing for a reaction. Once they confirm weakness, the attack begins. Similarly our elites have repeatedly tested us, probing the extent of our passivity. Now that they’re confirmed our weakness, they move more boldly. Strong efforts to seize and drastically punish whistleblowers. Revelations about the NSA’s surveilance programs is met by even bolder actions by the NSA. Today we post yet another call to action. 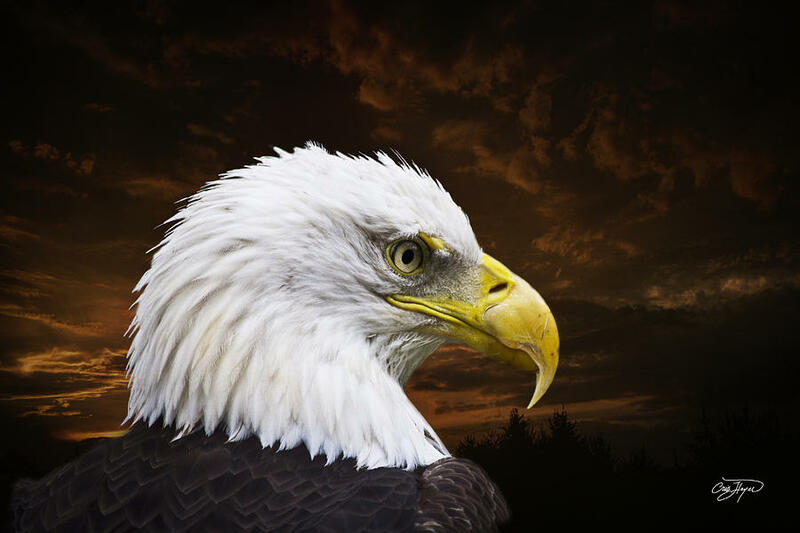 Soon a New America will be born, and reform will become far more difficult. There are few responses to this suitable for a free people. It’s a red line. It’s a fork in the road — one way for peons, another for free people. Probably rough road ahead on both branches of the road. — Telephone call from an official at Whitehall to Alan Rusbridger, Editor of The Guardian. Later they went to The Guardian’s offices and smashed computers holding information from Snowden. “We can call off the Black Helicopters” joked one of the GCHQ agents. From The Guardian. The following is from Washington’s Blog, 19 August 2013 — Reposted under their site’s syndication policy. German pastor Martin Niemöller (1892-1984) initially supported Hitler. But he later opposed him, and was imprisoned in the Dachau concentration camp for years. Niemöller learned the hard way that keep your head down doesn’t keep one out of trouble … in the long run, it increases the danger to all of us. 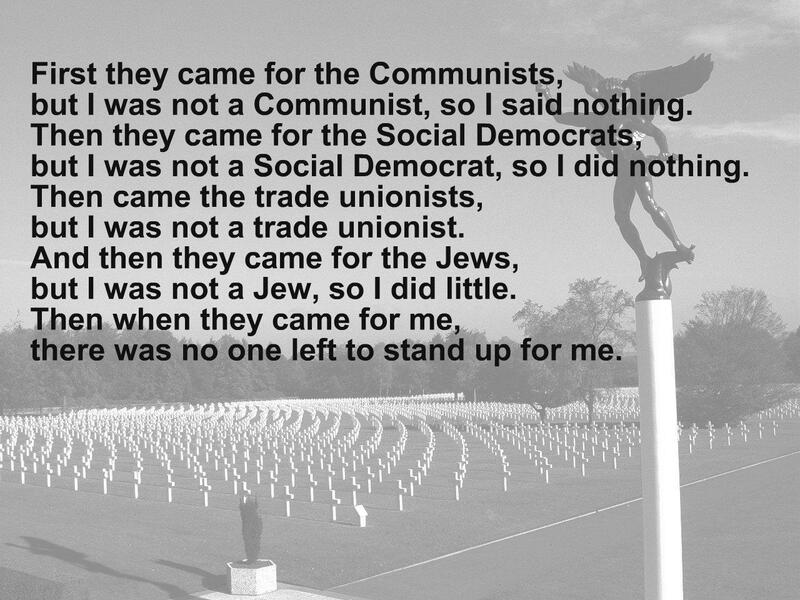 Niemöller wrote a brilliant poem – “First They Came” – about the manner in which Germans allowed Nazi abuses by failing to protest the abuse of “others” … first gypsies, gays, communists, and Jews, then Catholics … and eventually everyone. This is my modern interpretation of Niemöller’s poem. I remained silent; I wasn’t a criminal. I remained silent; I wasn’t a whistleblower. I remained silent; I wasn’t a defense attorney. He’ll quit if we don’t change soon. I remained silent; I’ve never talked to an important politician. I remained silent; I wasn’t an entertainer. I did not speak out; I’ve never protested in Washington. I held my tongue; I’ve never held that kind of sign. I said nothing; I wasn’t a religious leader. I remained silent; I wasn’t a student. I remained silent; I didn’t want to be called a terrorist. I remained silent; I didn’t want to be seen as crazy. I remained silent; I didn’t want to be labeled an enemy. I remained silent; I live on American soil. I remained silent; I didn’t want to be on the list. I remained silent; I’m not a foreign leader. I remained silent; I don’t want to worry about drone strikes against me. I remained silent; I didn’t want to call even more attention to myself from the spies. I remained silent; my wife isn’t a journalist. When they came for me, everyone was silent; there was no one left to speak out. (a) What is the history of Martin Niemöller’s famous quotation? See this page by Harold Marcuse, Professor of History at UC Santa Barbara. Next Post Preparing for the future: should we be precautionary or proactionary? But it would all backfire as this myth was more powerful that anyone could imagine as the common gullible of masses of people took this as for real and bowed down to the Pope and Chruch as they still do this today!! Just look at the Mormons and how rich and powerful that cult got!! As people will believe anything to forget reality of nature and the recycling and evolving proses of life and death as mother Earth will give life but it will give back death to the living to make room for the new and more adapted, smarter, stronger living forms!!! Sorry for my blabbing away so much!! if you want you can correct me on this blabbing blog Be free to add!!!……………………..joe;.. the progressive, liberal, socialist, atheist, and a brainwash recovery hero!! At lease I try to fix them!!!! This One deserves a real big Thanks. A little diminution in the old Democratic Ideals, eh? Pondered what I could add to something as overwhelming as this. Could I offer up more arm waving that would add anything? I will suffice it to offer this: I wouldn’t be worrying about ROBOTS too much, America. I disagree. That is bad advice. Running a nation requires attention to many things. Worries about my diet or cholesterol don’t mean I shouldn’t pay attention when driving. Activists often take this approach, that only “my” concern deserves attention — all else is trivial. That’s the fast track to ruin. Economic distress exacerbates other problems, while making their solutions more difficult (they get less attention and less funding). It also reduces social cohesion. All very bad things. Yesterday, we ran a post by Bill McKibben on leadership in social change movements. McKibben argued for a “small l” leader model versus a “big L” leader, which readers debated. Some argued that the Leader model was really code for “Great Man” that was a less viable approach than it once was due to assassinations. Others were struck by the emphasis on distributed leadership, which is an obvious analogy to modern computer and communications networks, and how political commentators to frame their ideas of social order in terms of the technology of the day. Some pointed out that the idea of minimal oversight and control of communities was a long-stading Utopian line of thought, often espoused by people who wound up implementing the exact opposite. … Others have already touched on this, but I think McKibben’s piece focuses too much on the question of whether or not it is important to have the single charismatic leader, and not enough on equally important questions about whether or not it is important to have organization, long-term plans and a grand political strategy. The picture I get from reading McKibben and many others is of a movement that consists in the spontaneous generation of organized resistance here and there to some of the projects of the powerful. The movement is successful in that instance if the project is thwarted, and fails if the project is carried through. Thanks for posting this! I expanded the excerpt you gave, since this is IMO interesting and important. McKibben’s post about movement leadership is the sort of advice that brings a warm feeling of comfort to the 1%, typical of MKibben’s wooly-minded work — and more broadly of the US Left, which has brought it to near-irrelevance in US politics today. Note that Yves Smith’s reply shares his belief in issues over organization (she touches on the issues of organization before wandering off to discuss what laundry list of issues should be worked). Meanwhile the 1% continue their multi-generational effort to recruit, train, support, and organize people from the grass-roots upwards — an open-soruce program of patient planning and investment which has succeeded on a historic scale. This was the point of my post The second step to reforming America, 14 August 2013. The comments to it (and the low number of hits) illustrate why we’re losing. As Duncan and FM have pointed out, the Left’s persistent naivety about the necessity of deep organizational structures is a key factor to their inability to influence the political environment. I’ve discussed with many friends that many progressives have a ‘Field of Dreams/It’s a Wonderful Life’ mentality, almost like, “Hey guys, if we just pull together, we can make things better!” belief system. The contrast between the chaos of the Occupy movement vs. the long-planned creation of the Tea Party ‘spontaneous eruption’ highlights the ineffectiveness of the progressive movement. The bad part is that pointing these things out to leftists usually doesn’t work; they seem to think that setting up rigorous organizations is somehow less authentic and therefore less necessary than just relying on ‘passion’ to change things. IMHO, you need great passion, an iron will, AND robust organizations to shift the political discourse. The 1% and much of the Right’s political machinery understand these things and have done so for over four decades. Will Progressives ever understand this? I’m very doubtful. I totally agree (and have very slow to realize this). But this is so strange? Why the unwillingness to follow the examples of the Founders, the abolitionists & suffragettes — who worked for so long against such large odds to produce such great success? Why abandon a winning game formula? One reason why Occupy was so much more ineffectual than the Tea Party has been is that the Tea Party is in large measure descended from / related to the anti-abortion movement. Regardless of what you think about abortion, and I favor it, it should be a matter for the ballot and Roe v. Wade was a catastrophe because it thrust anti-abortion advocates into the wilderness. It alienated a major portion of the population. There they have been for more than a generation now; and they have adapted to it. Many of these same people and definitely the same types now form the Tea Party. They have much more experience on the outside of things. By way of example of the left, instead, today, I saw some silly post stating that Obama should commute Bradley Manning’s sentence. I do not want to discuss Manning in particular. The point is that because of the mirage of Obama, etc., much of the left remains best described by an obscene word that begins with “d” and ends with “bag.” Which causes them to state that Obama, who was behind Manning’s prosecution, should now take up his case. As to why they they behave that way, I have much to say. But I also have current frustrations with my malfunctioning garden mower. So I’ll leave those comments for another day. I think they failed equally, and for similar reasons. The Tea Party lost almost all that they wanted, and became shock troops for the GOP. The most obvious is that they wanted change, and become a powerful force against change. For example, they wanted an end to bank-friendly government policies (esp bank bailouts, the “put”) and became supporters of the most bank friendly folks in Congress. They failed for many reasons, but the central one IMO is the exact same dislike of leadership as the Occupy movement. Both dreamed of street parties as organizations. This has become a deep trait of modern Americans, one reason we cannot organize against the 1%. Sheep do not have strong leaders. I blame the hippie movement for this sort of wooly-minded, feel-good approach to political movements, where good intentions matter more than actual results. People think they can change things by getting a group together and marching on Washington, or Wall Street, but they don’t realize they need to actually DO something once they get there. What’s more annoying? Woolly-thinking political Leftists? Or the ones who have become Puritans, imposing their values on everybody else. Hunting out inappropriate language, stories, jokes. Monitoring every film and TV show for compliance with their personal standards. They’re like beetles swarming on a kitchen counter who’ve found leftover crumbs. Thank you for this post. I have often thought about the Niemöller poem and what we are evolving into but you did a comprehensive job at pulling out examples to bring it into current perspective. IMHO what we need are people willing to die for a cause and I don’t know frankly if we, as a people, still have the grit to put “Our Lives, Our Fortunes, Our Sacred Honor” on the line. Thanks for the comment. I agree. It’s not so much that we are losing our libery, or even that we don’t know how to respond. The question is do we want the responsibility and burden of self-government? That’s an problem with no easy solution. beej is definitely on point as is FM. I think many people understand that our country is off-track in many ways but are unwilling or afraid regarding self-governance. “We The People” is an abstract notion for people struggling to pay their bills or just trying to make it through life in general. Likewise, the Soma spewed by our educational system, economic structure, recreational drugs (licit and illicit), and entertainment media are also great distractions from being a highly informed and responsible citizen. Many people would prefer being asleep or at least tolerate being asleep instead of being a fully awake citizen. I believe there are three additional aspects to consider. The Right has done a great job of propagandizing the notion that government is a) inherently Bad, b) run by the ‘takers’ and America-haters, and c) out of control and therefore OUTSIDE YOUR PERSONAL CONTROL. If we are honest with ourselves, many people have swallowed these concepts completely and are either completely disengaged from self-governance or are actively engaged to stop a disembodied government they perceive as alien, illegitimate, and beyond their control. The irony is that people who believe such things are working to undermine the very apparatus that would enable them to regain their power and trust in our governmental system. As FM has pointed out many times, the plutocrats have patiently played the long-game to reshape our political discourse to their benefit. As a result, the rest of us have given up the notion we have the power or ability to re-direct our political drift. Perhaps the Right will continue its overreach and eventually galvanize a more coherent response from independents and the Left. The Moral Mondays efforts in North Carolina may be a small spark of a progressive response. We shall see. You raise another big question. To what extent are we the “victims” of successful propaganda, or have we just bought a viewpoint that nicely justifies our apathy and disinterest in bearing the burdens of self-government? That is, to what extent is our situation the result of success by the Right, or a pre-existing condition? The political response differs to these. As I have said so often, correct diagnosis is necessary for successful treatment. Thanks for the great comments. Well the founders in particular were a product of there times, they were the inheritors of a enlightenment philosophy, they had read Spinoza, Descartes, Hume and Locke, they were living influences to them, not just some dudes from the history books. They had a mighty philosophical edifice on which to build there revolution (and expand on those ideas), to the extent that there enemies were in great sympathy with them. Before the battle material had been joined, the philosophical battle had been won. I’m not saying we can’t strive to emulate them, but our situation is rather different. We are in the midst of a counter revolution thats been brewing for a generation or two, momentum is with the enemy, so is intellectual vigour (if not rigour). There are few Glen Greenwalds, who have the ability to destroy the enemy in the intellectual battle ground. Those guys are the Thomas Paines, of this age. If men like Snowden and Greenwald can out punch the British and American governments all is not lost. We need to train more like them. I don’t understand how that differs from the situation of the Founders (and other pro-democracy movements in the West) when they started, and even less from that of the early days of the abolitionists and suffragettes. While many specifics differ, the need to start with an organization — and build a leadership cadre (loyalty and confidence both up and down, plus cohesion) seem like timeless elements for success. My guess is a large fraction of the Left are not serious. Posers, self-dramatization. Well, we are different, aren’t we? We have political liberty, and also individual liberty. We are hoping to keep what we have. Not seeking to gain what we have not. Ours is a defensive battle. Also we are fighting to control the future direction of our independent country, we are not fighting to free ourselves from the dominion of an external power. What we are talking about is what political philosophy will end up running the country. This is a different battle to what the founders faced, though there achievement was very great, and deserves to be examined. People like Greenwald have an intellectual coherence that say, Occupy Wall Street lack. The left have energy, but suffer from what the general public as a whole suffers from, an over indulgence in fantasy. OK, this is different than the revolution. Actually, I disagree – but grant that assumption for now. How is this different than the other reform movements I cited? I think maybe I understand what Merocaine is saying. We want to keep what the Founding Fathers gave us but we are afraid to lose what our government has given us – a support network that will take care of us when we no longer are able or do not want to. My observations of my fellow citizens is that they truly believe that they all entitled to the shepherding provided by the government. They just do not want to see where they are being herded and are afraid of losing the security, false though it may be. As long as they have the Soma that Thornton Prayer spoke of in the comment above they are quiescent. The other question is – what cause do we unite around? There is such a gulf between right left and center that I don’t know where we would begin. Taking back our liberty or our government has many different meanings to people. It is difficult to even get a strong response from those I talk to about the Snowden affair. And so help me if I hear “I have nothing left to hide” one more time I am going to pop someone upside the head. The sheep’s leader is the shepherd and will blindly follow – but goats do have their own leadership in the herd. Sheep will run when threatened but goats will not. We may do well to begin to emulate the goats. I agree with your points. But then every major reform movement begins facing roughly similar conditions. That Americans have lost the will to govern themselves is no more an obstacle than seeking independence in 1765, stopping the slave trade in 1787, or votes for women in 1850 (guessing at the date). More broadly, I find these threads discouraging. Every discussion in comments ends with someone explaining why our circumstances are so complex, different, or difficult that we cannot do the simple basics that have succeeded in our past. I begin to suspect there is a pattern here. Trivia note: people have different perspectives on these things. However, I do not consider a Shepherd a leader of sheep, any more than I am the leader of the carrots in my vegetable bin. There are causes that can have bi-partisan appeal, the difficulty comes from limiting the scope of action such that the majority from either side isn’t going to be turned away. Civil rights: anti-TSA, anti-NSA, anti DHS. Financial reform: break up too large to fail banks, actually punish banking criminals, reform banking legislation. Attempt to create many of these groups and lobby for progress in the desired field. If completely successful in the given field, adjust targets within the purview of the group or disband. The difficulty in establishing such movements will be dealing with how the mainstream media incompetently or dishonestly reports on the burgeoning movements. FM I did not mean to sound discouraging I truly believe that reform is possible, we just need to find, or generate, the will. In 1776 they faced a great percentage of the population that was afraid to walk away from British rule. I think Leper has listed some causes that people could unite behind given the right leadership. And as for the shepherd and the sheep. Having worked with them they do depend on the shepherd for leadership and protection. We will just have to disagree. This is the key point. Organization precedes results. Developing specific issues on which to agitate follows organization. Things start with commitment to very broad goals: independence, opposition to slavery, etc. Looking for specific issues — what I call the magic laundry list, as Yves Smith consistently does — is a formula for failure. IMO all this abstract theorizing is a substitute for doing the work and taking the risks of action. I”m on discussion board threads about military and geopol reform. If all the chatting could be converted to action we’d be in Heaven. Unfortunately that’s all it is, talk. I do not believe that is correct. When the first Committee of Correspondence formed in 1764 I believe most people were uninterested in independence, not interested but afraid of trying. Even at the end of the war in 1783 roughly 1/3 were still Loyalists. Yes. As I said, we have different perspectives on the nature of leadership. There is no one definition, no one right answer. The other two example are of movements trying to claim rights (eternally) denied, slaves and there allies trying to win there freedom, and the suffragettes trying to win the vote. This is a negative struggle. Positive and negative are not implied in any prerogative sense here. We should look to movements like the trade unions from the 1960’s onwards, or, more hopefully at the anti clerical movement during the struggle to reimpose secularism after the collapse of the napoleonic project. Those are examples of mass movements looking to regain what was recently lost, or hold what was won at great cost. I believe, although less inspirational, that they may yield more vital lessons. And what are differences between those programs and the ones I cited? It is not obvious to me. Well, they were mostly decided in the courts, and by the ballot box, two of the examples you cited ended in open, bloody, and prolonged warfare, the third is still raging today, although it has moved on from gaining the vote. Unless you believe your mass movement is the first step in a violent conflict with the government, then the above examples are only useful in the most general sense, as in large popular movements that ended in success. I have lost the thread of what you attempting to say. My position is that founding a organization is a necessary first step, developing leaders, followed by an often long period of work. I am uncertain of the nature of your rebuttal. The founding of the US and the abolition of slavery required wars in the US. Their equivalent (sort of) in the UK was the low-violence Glorious Revolution and Wilberforce’s long campaign for Parliament to ban slavery. So these things can be done without war; also I think the US today more closely resembles the UK of those periods rather than early America. Similarly the suffragettes in the UK and US won through normal electoral processes, not court action. The example of civil rights for Blacks and legal rights for unions also follows this pattern, relying on building organizations first, with clear leaders. The level of violence required for success was somewhere between the two sets above, although final success came through normal political processes. Of all these, IMO our situation most closely resembles those of WIlberforce and the suffragettes, so it is premature to consider the need for violence. That is however a favorite rouse on both the Right and Left, taking the discussion from the realm of work safely into fantasy — with the added benefit of self-dramatization. NOTE: you are not doing so, but rather logically looking at the scenarios under discussion. 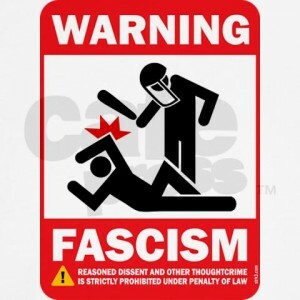 One thing that really bothers me is that a significant portion of the US population seems to believe that political dissidents, whistleblowers, certain racial minorities, and others are in fact themselves the problem with America, and that the solution is oppression, marginalization, deportation, and even unseemly disposal of these groups. If you doubt me, look at the many opinion polls, such as these: http://www.pollingreport.com/terror.htm. If you really feel like losing your faith in humanity, go and read the comments that follow Yahoo News articles about such topics. Personally I think it’s disgusting, and it’s difficult for me to see any path towards amicable reconciliation of such divergent beliefs. Yes, polls are depressing these days. Like looking at the score board in a game with the home team getting crushed. Here’s another, showing Americans eager consumption of pleasing propaganda: “More Louisiana Republicans Blame President Obama For Hurricane Katrina Response Than Bush“, ThinkProgress, 21 August 2013. Lot of talk here. Lot of abstract arm waving, too. When faced with serious problems there is one tried and true prerequisite in any problem solving adventure: Define the Problem (….continuously re-define the problem until you arrive at the deducted end point.) Until there is some consensus on this there will be more and more disillusionment and arm waving. More magic laundry lists. Nobody here or anywhere I daily read, has even begun to “Define the Problem”. Philosophically I see many here arguing their format of how to find an effective way to effect their solutions. “Talking their Book” on how they see the solution arising form their premise of how the solution must be structured to effect the solution. Speculating and over generalizing about complex historical events. Begging the question from the initial discussion. Assuming what they really need to examine. Clearly the one major reason why it seems as if you are “losing” out to the Plutos or Tea Party or whomever is dissolving your democracy right in front of your eyes is because you share the basic premises and myths about the American Experience as they do. But they are not so clean….they are much more pragmatic and wise. They are much more clever in manipulating the myths and deferring the reality than you are. It is a losing battle to try to prove a negative. The Anti Plutos will always be at a serious disadvantage until you can define the problem in a form, in a philosophical narrative and in a social narrative that is outside the Myth of America. Yes, this is a huge undertaking and I suspect most are beginning to understand that there is something deeply wrong with the basic American view of how a large country should work. Or you can always just blame the poor, average, everyday Citizen…………those you so fondly call “sheep”. It is really too late to worry about your LDL Levels when you are scheduled for ByPass Surgery. You might have had a chance if you had defined the problem many years before. I have defined the problem as Americans losing their willingness to bear the responsibility for self-government. That also generates an operational goal, and puts our situation in a historical context. These are the three major requirements to begin. Looks quite clear to me. Why was this not clear to you? I have said this countless times. You post a YouTube of some guy talking in his living room, and give that as evidence. That’s sad. Try citing a real source. A government spokesman, a major news media, a known expert, etc. Greenwald’s histrionic rant about how the UK is worse than the mafia was uninformed to say the least, or just disingenuous. In other words, I’ll just pretend. I feel sorry for you that you so desperately want to believe the government, and remain blind to the massive contrary evidence. I feel sad for America that there are so many people like you, either passive or enthusiastic about our fading liberties. The task of any movement to reform America will be to awaken as many people like you as possible (which I suspect will be few), and motivate enough Americans to action to overcome your support for the government. Thank you for posting comments that so clearly show the opposition. Also: I edited the first line of your comment to more accurately describe the material to which you link, so people don’t click on it thinking that it is a news article in The Guardian. You do realize he was indeed, carrying stolen information with him? His flight was paid for by the Guardian (interesting given he doesn’t even work there) and he met up with the woman working with Greenwald in leaking out these stolen classified information. As Jeffrey Toobin said, he was acting like a drug mule does. This showed that Greenwald was lying by saying that Miranda was merely a spouse – he was actively involved in the story with Greenwald. You have not the slightest idea what you are talking about, nor any reasonable concept of what is evidence. It’s obviously a waste of time to continue this discussion, but I’ll make a few points. You have not the slightest basis for this statement. Neither you or anyone else here have made these claims before now, nor have I “denied” them. In other words, you are a liar. As for the rest, you cite people just making stuff up. We don’t know what Miranda was carrying, since neither the UK government or The Guardian team have given specific info. So your crazy specific statement about this is another lie. Re: Miranda offered an attorney. The Guardian team said he was offered an attorney chosen by the government. Accepting that would be crazy. He asked for an attorney of his choice, and was refused for several hours. That you don’t see the distinction here shows you total blindness, already amply proven by your previous comments. As to the exact nature of Miranda’s role, that’s trivia. Who is a journalist is of little importance in this debate, except as rhetoric. Even more so in the UK, lacking a First Amendment. Calling Miranda a “mule”, as in carrier of illegal drugs, is just a smear — based on nothing. He was a courier working for a newspaper. That you consider this an outrage is still more evidence of what side you’re one. That you accuse Greenwald of lies for making accurate statements is interesting, given your record of accuracy. Hmm…let’s scroll up a bit shall we? So I then back up what I was claiming with statements from the Guardian itself, and you *still* won’t accept them? And in fact call me a “liar”? So is the Guardian lying as well? Britain Detains the Partner of a Reporter Tied to Leaks By CHARLIE SAVAGE and MICHAEL SCHWIRTZ, New York Times. If either of these papers is wrong (I’m not sure why the Guardian would falsely report on itself, but ok), please do substantiate it. No, it’s a quote specifically from the New York Times, a paper by the way, you link to regularly on this website. Prove he was denied his own attorney. From what I can tell, he probably couldn’t get an attorney in on time, so they offered to give him a public defender in lieu. We do this with criminal proceedings *all the time*. Are public defenders “bad” now all of a sudden? He was carrying illegally obtained documents and transferring them to another location, like with any other type of contraband. Miranda *doesn’t* work for the Guardian. Doesn’t that set off some alarms for you? Well, he was indeed mistaken that Miranda wasn’t offered an attorney. I have tried to be reasonable, but this is proving a waste of time. You cited as evidence a letter to the editor to support a self-made Youtube video, than misstated a wide range of news reports. Just a few more examples. You said I was “denying” things when I said your evidence was bogus. That’s not correct. The Guardian says Miranda was being paid, therefore he did work for them. Your confusion about this mirrors your lack of knowledge about the overall incident. That he was being paid as a courier does not “set off bells” for me. You continue to lie about what Miranda was carrying. You don’t cite any support for your belief, probably because there is no public evidence. Until someone involved tells us in greater detail, we don’t know. I repeated what the Guardian said about Miranda being offered an attorney. I cannot prove that, any more than you can prove anything about the incident. All we have are secondary or tertiary reports. Your speculation about the details of this is just more confidently making stuff up. Most of the rest is you misstating or exaggerating new reports, or citing other people making stuff up. Future comments are moderated. Anything citing actual evidence will be posted. More lies and making stuff up will not. Let’s try something simple. Give the evidence for this statement of yours, which you have repeated as fact despite my requests for evidence. Let’s try a second simple one for you. Give the evidence for your statement below — using posts or comments before you made it. That will be difficult, since you hadn’t made “these claims” (the only claim was about the contents of the files Miranda carried), nor did I deny them (merely pointing out that your evidence was bogus). The claims in your comment are a mish-mash, but that’s a different discussion. It’s a waste of time to go through all the lies in your comments, so I’ll look at just one — which shows your lack of knowledge about this matter, and willingness to make stuff up. David had spent the last week in Berlin, where he stayed with Laura Poitras, the US filmmaker who has worked with me extensively on the NSA stories. A Brazilian citizen, he was returning to our home in Rio de Janeiro this morning on British Airways, flying first to London and then on to Rio. When he arrived in London this morning, he was detained. At the time the “security official” called me, David had been detained for 3 hours. The security official told me that they had the right to detain him for up to 9 hours in order to question him, at which point they could either arrest and charge him or ask a court to extend the question time. The official – who refused to give his name but would only identify himself by his number: 203654 – said David was not allowed to have a lawyer present, nor would they allow me to talk to him. I immediately contacted the Guardian, which sent lawyers to the airport, as well various Brazilian officials I know. Within the hour, several senior Brazilian officials were engaged and expressing indignation over what was being done. The Guardian has the full story here. Miranda was carrying materials related to The Guardian’s journalism work, at their expense, when he was detained. He was detained at 8:05 am, and was interogated by six officers. Miranda asked for a pen to record the questions asked, but was refused. The Guardian staff obtained legal representation for him: Gavin Kendall. Kendall was refused telephone contact with Miranda. Kendall arrived at 3:35 pm, but was refused access to Miranda. At 4:05 he was given access to his client. He was refused information about the questions that had been asked. The police seized Miranda’s hard drive and memory sticks. Use of the anti-terrorism Section 7 powers allowed them to do so without the court order ordinarily required. There have been two statements by the UK government about the information which they seized from Miranda, From these the government supporters have, as usual, gone wild with guesses and exaggerations — taking every word as gospel (despite the long history of government lies about such matters). (1) Statement to the UK Court by Detective Superintendent Caroline Goode. It has not been published; this is from Reuters, 30 August 2013. (2) Statement to the Court by Oliver Robbins, the UK’s Deputy National Security Advisor at the Cabinet Office. As usual in such things (in both the US and UK), the government makes assertions while providing neither evidence or examples. Government officials and their supporters claimed that Bradley Manning’s disclosures would lead to the murder of dozens or even hundreds of lives. After months went by the lies — so useful in manipulating public opinion, were admitted by government officials to be false. This is routine practice in reply to journalists’ articles about intel agencies work. Even Valerie Plame is still alive. see #3 below for details. (3) So far there has been surprisingly little analysis of the government’s statements. Here is one, by Naomi Colvin (active in defense of Bradley Manning), 31 August 2013. She makes a number of interesting points. Here are a few of them. I am concerned by the extent of the ambiguity in the statements presented in Home Office v Miranda. The UK Government has represented itself in language that is so vague that it may not have a case at all, yet it has presented its case in the strongest way possible – and has been accepted as such, without much demur, in much of the media. I think it’s worth taking a moment to reflect on this. If a group of witness statements took a similar approach to legal issues as these have to technical ones, if they had eschewed technical terms in favour of ambiguous natural language and took advantage of that fact to obfuscate as these have, I think those imaginary witness statements would have received a much more critical reception. I am concerned that our courtrooms and our newsrooms may not be equipped to cut through some of this confusion and dubious statements may be allowed to stand without receiving proper scrutiny. It is not difficult to see how parties could take advantage of this, if they wished to do so. The long history of UK and US intel agencies shows their willingness to “take advantage” of our credulity.